March 20th | $20 | 7:30pm Sharp! "A road-tested, audience-approved, high-octane, fist-in-glove, laughing-out-loud trio of Irish musicians..."
On sale now - Half sold out! 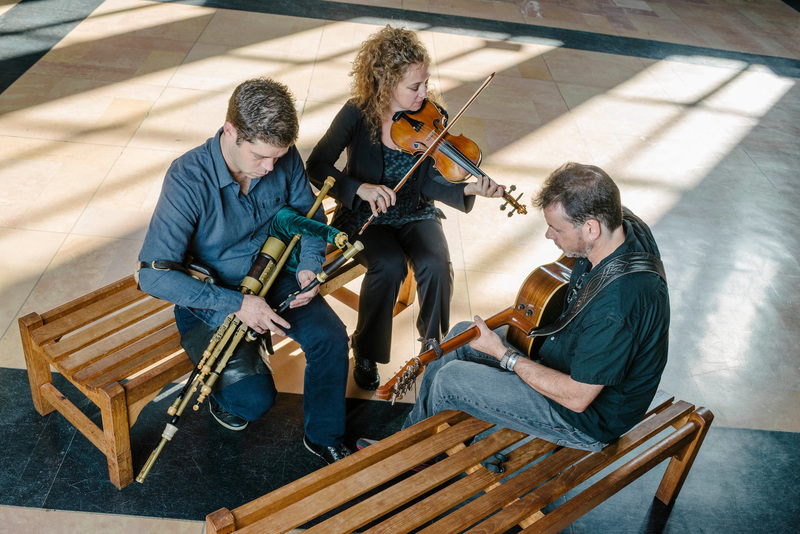 Open the Door for Three is fiddle player Liz Knowles, uilleann piper Kieran O’Hare, and Dublin-born singer and bouzouki player Pat Broaders. Their music is a rare combination of unearthed tunes from centuries-old collections, newly composed melodies, fresh arrangements of songs old and new, homages to the musicians and bands they grew up listening to, and the unmatched energy of a trio of good friends playing great Irish music together. Session after the concert! - usually around 10pm. All are welcome. Visit Irish Night at Blue on Facebook for the up to date listing!! Wednesday March 20 - Ticketed Show - stay tuned!! Wednesday May 8 - Ticketed Show - stay tuned! !